Supplement your bath's décor with this classic style towel stand. 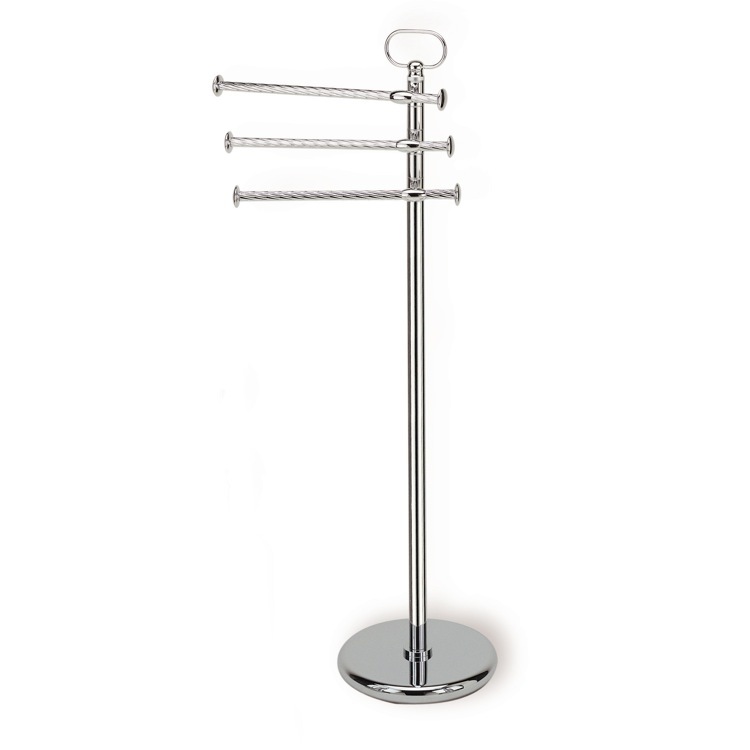 This free standing rack features a brass interior with choice of twelve available finishes including chrome, chrome and gold, chrome and white, gold and white, bronze and wood, chrome and wood, satin chrome, bronze, copper, gold, satin nickel and Tuscany ancient pink. It includes a round base and three towel rails, each holding a single towel.